Sunshine Coast FC is pleased to announce that we have partnered with Pacific Land Rover. Our new partner provides high-performing Land Rover and Range Rover vehicles designed to thrill and inspire you. With a 25 year history, Pacific is the only choice for Land Rover sales and service on the Sunshine Coast. Customer Experience Manager Carmel Fulton looks forward to forming a strong relationship with the club and our players, members and supporters. 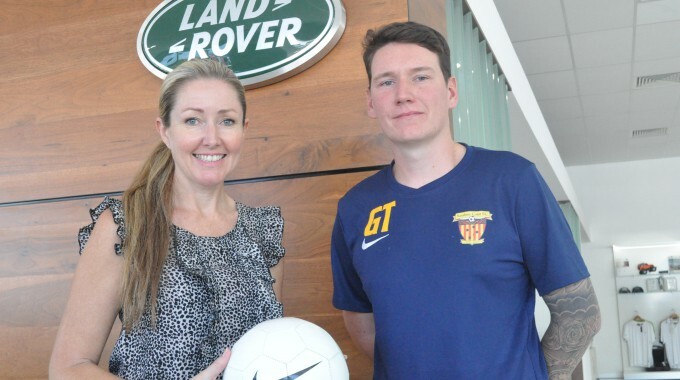 “Pacific Land Rover is proud and excited to partner with Sunshine Coast FC, we are looking forward to a great season,” she said. Sunshine Coast FC would like to welcome Pacific Land Rover to the Fire family. Click HERE to learn more about our new partner. Qantas Frequent Flyer and Qantas Business Rewards members now have the ability to earn up to 100,000 Qantas Points on the purchase of eligible Land Rover vehicles. Terms and Conditions Apply.